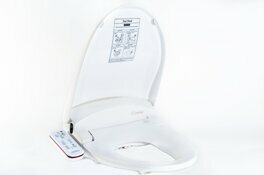 Bidet Overview The Feel Fresh HI-5000/1 Bidet is truly a luxury bathroom fixture. 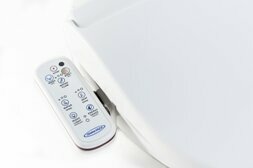 The HI-5000/1 Bidet offers a contoured design for a sleeker look that screams luxury. 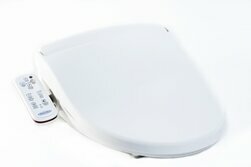 A toilet seat bidet is a sit-down wash basin that is convenient and promotes cleanness. Long considered to be a luxury bathroom fixture, bidets are becoming a common addition to any bathroom. 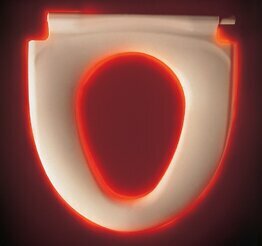 The bidet uses water to provide a gentle cleansing and will help you conserve water and energy. 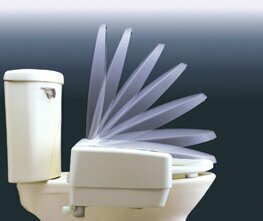 Bidets are easy to install and use. The HI-5000/1 will make an excellent addition to your bathroom. 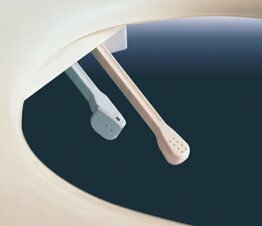 Top view of the Feel Fresh HI-5000/1 Bidet w/Remote.